Healthsens is developing Prostatesens®, a portable device that will allow to quantify, in a single drop of serum, all the biomarkers associated with prostate cancer. The device consists of a tri-immunosensor, composed of three electrodes for the simultaneous determination of free PSA, total PSA and [-2] proPSA. This device will develop a measurement protocol to calculate the PHI (Prostatic Health Index), a parameter that indicates the presence of tumors, its stage of development and degree of aggression. The use of the PHI is legal in Europe, the USA (approved by the FDA) and Australia. To this date, Healthsens has sensors that are capable of an accurate quantification of free-PSA and total-PSA (two out of the three necessary ways to calculate this index along with the [-2] proPSA). 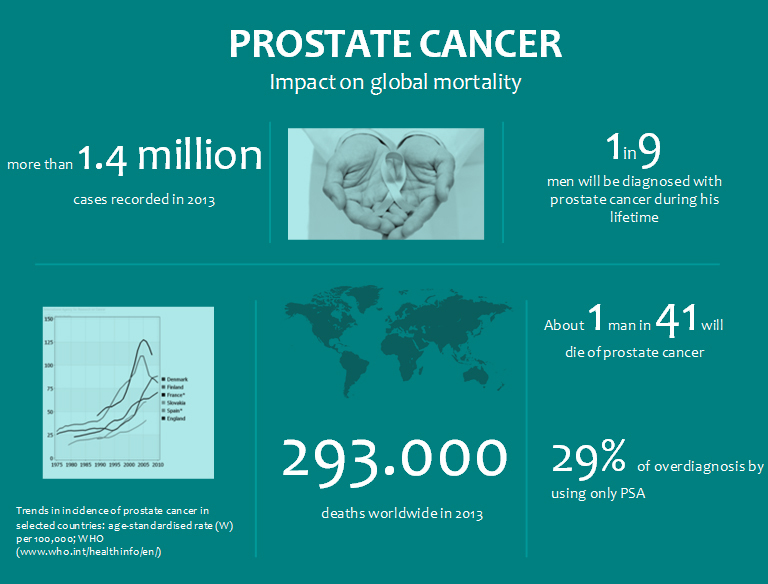 The Prostate Health Index (PHI), which has recently been approved in the United States, Europe and Australia, is a mathematical formula that combines the values ​​of total PSA, free PSA and [-2] proPSA. Many international studies have consistently shown that PHI outperforms its individual components for the prediction of prostate cancer. PHI also predicts the modality of progression during active surveillance and provides a non-invasive way for selecting and monitoring this patient population. Prostatesens® will analyse the concentration of total PSA, free PSA and [-2] proPSA in a minimum blood sample and will report directly on the PHI. Specificity, prevents overtreatment and overdiagnosis of the disease. Direct and quick quantification (less than 30 min). All these characteristics signify that Prostatesens® can be used to perform the population screening of prostate cancer in a simple, safe and valid way, significantly reducing overtreatment and overdiagnosis of the disease. Given the simplicity of the device, population screening could be performed in primary care health centres by non-specialised personnel.